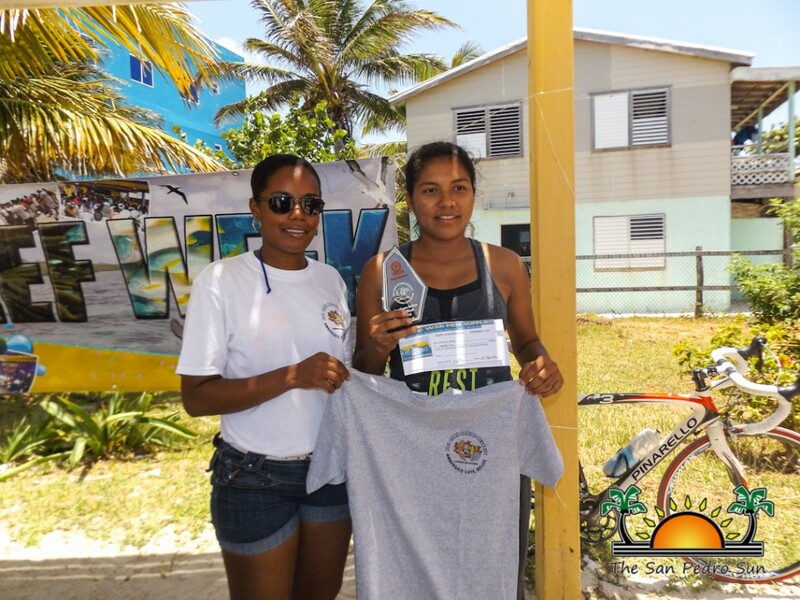 Home » Sports » 11th Annual Reef Week ends with a bang! 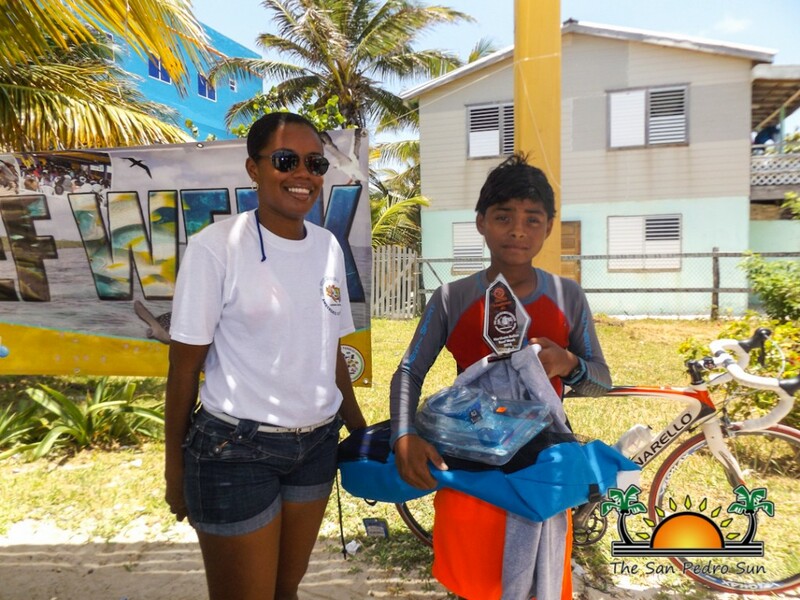 11th Annual Reef Week ends with a bang! 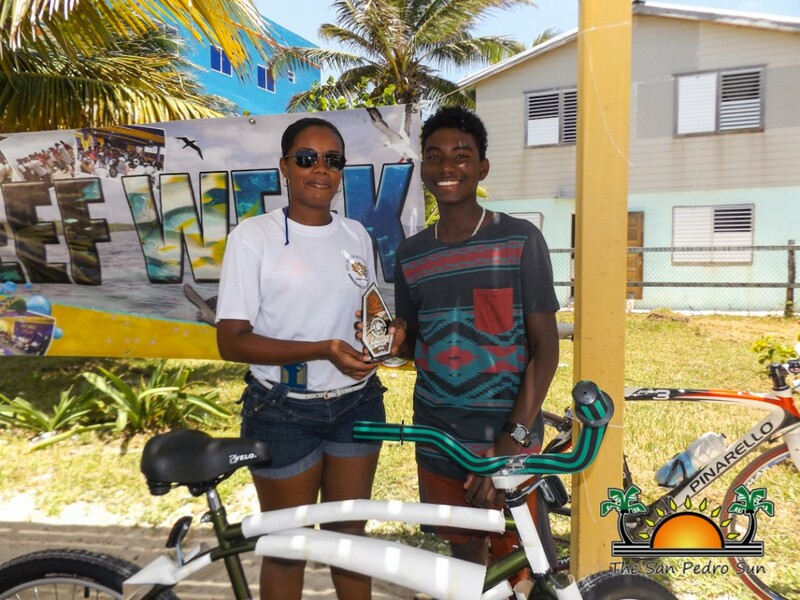 The 11th Annual Northern Reef Week culminated on Sunday, May 22nd with a series of activities that included the annual Reef Triathlon. 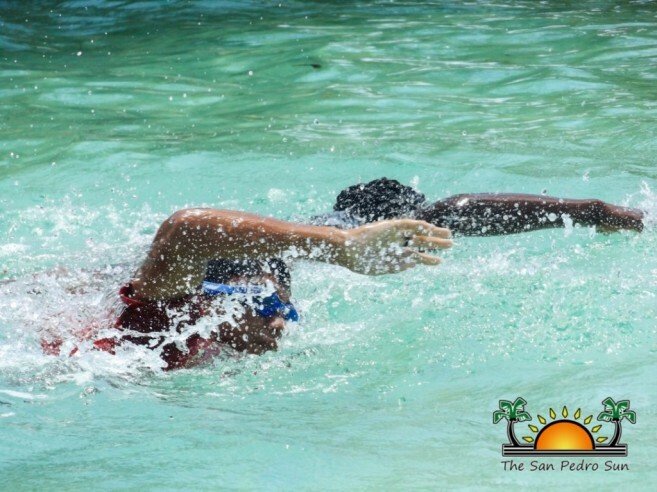 Island athletes of all ages converged at the Boca Del Rio Park for an intense morning of swimming, and running. Organized by San Pedro Town Council Sports Coordinator Kent “Bob” Gabourel and Mariela Archer of Hol Chan Marine Reserve, the triathlon was divided into three categories: juniors, female and seniors. At the end of the competition, there was a tie and the competitors, Jordan Santos, Brandon Santos, and Eric Donis were willing to share the prize. The junior category saw boys under the age of 12 taking on the arduous competition. 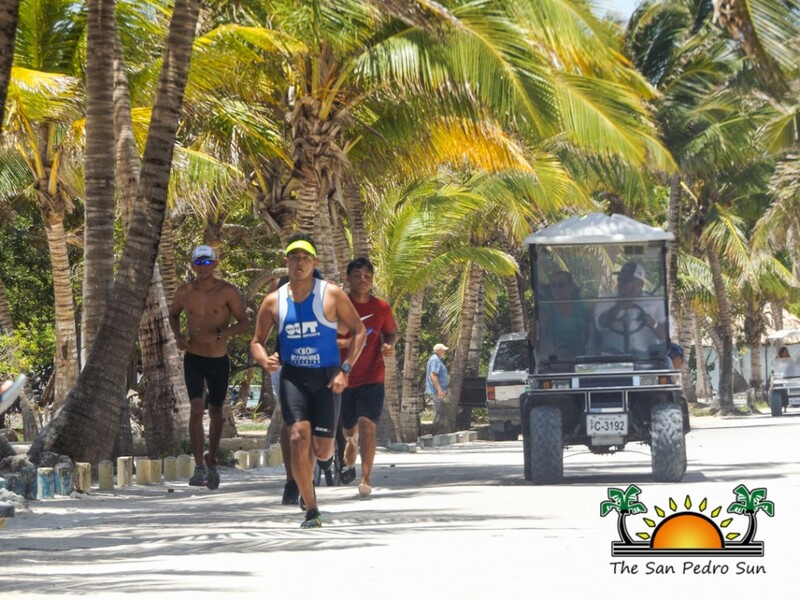 The young athletes swam about 20 yards in the Boca Del Rio channel, then ran all the way to Wet Willy’s Dock and back to Boca Del Rio Park. Taking first place was McLeish Lambey. In a close second was Adrian Cobo, while Kyle Jacobs finished off in third. 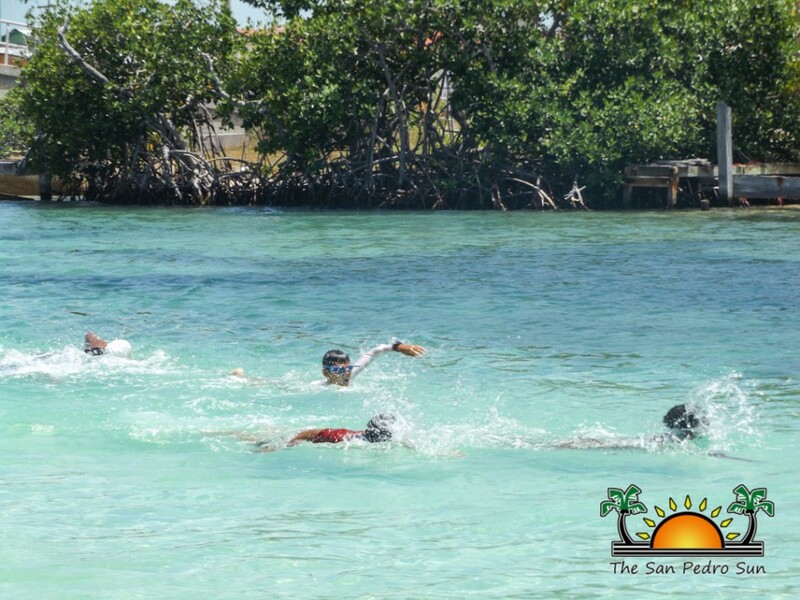 In the female category, sisters Amy Requeña and Karina Requeña swam two laps from the Sir Barry Bowen Bridge to the mouth of Boca Del Rio. They then ran one lap from Boca Del Rio Park to Wet Willy’s Dock and back. Amy came in first place, followed by her sister Karina. There were the only participants in the female division. The three racers in the senior category had a bit more of a challenge. 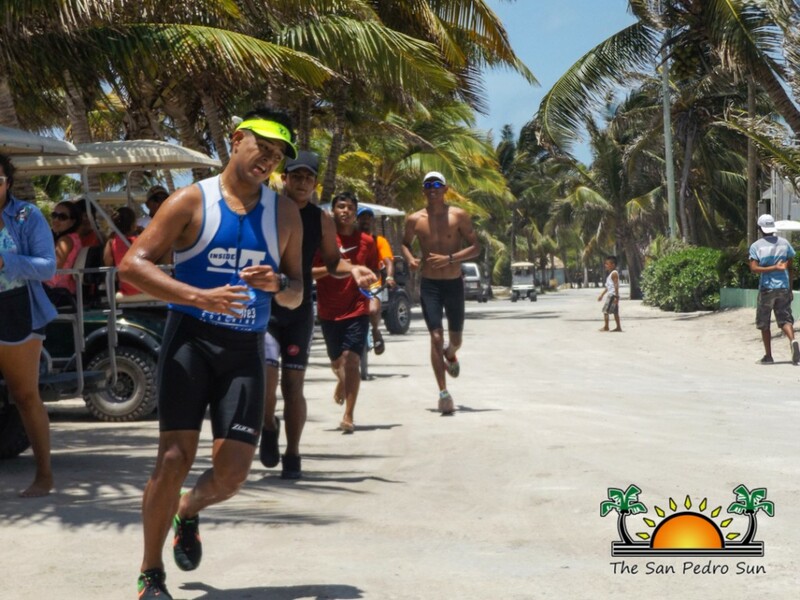 They had to swim three laps from the Sir Barry Bowen Bridge to the mouth of Boca Del Rio channel. Afterwards they had to run two laps from the Boca Del Rio Park to Wet Willy’s Dock and back. At the end of the intense competition, the three racers decided to finish the race together, ending in a tie. They all indicated that it is not about winning but actually about participating and having fun while supporting Reef Week. 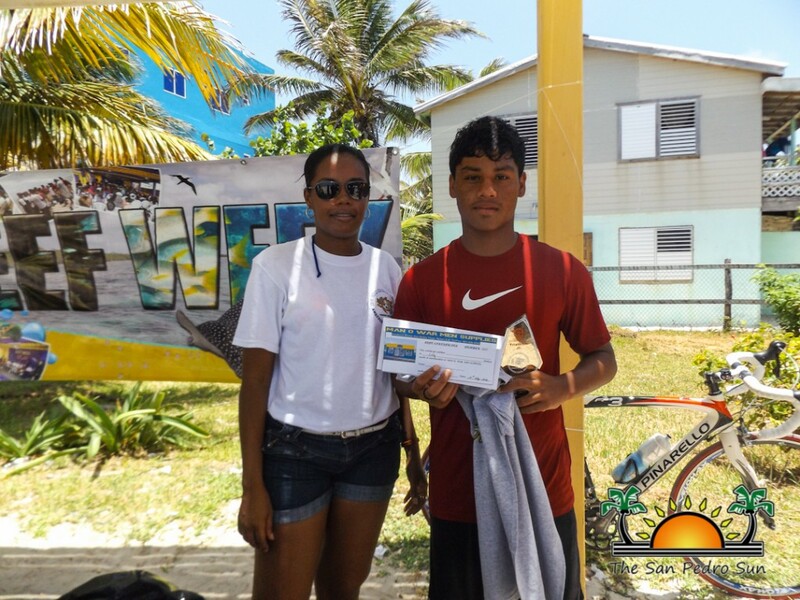 At the end of the races, trophies and prizes were awarded by Archer of the Hol Chan Marine Reserve and Gabourel of the SPTC. 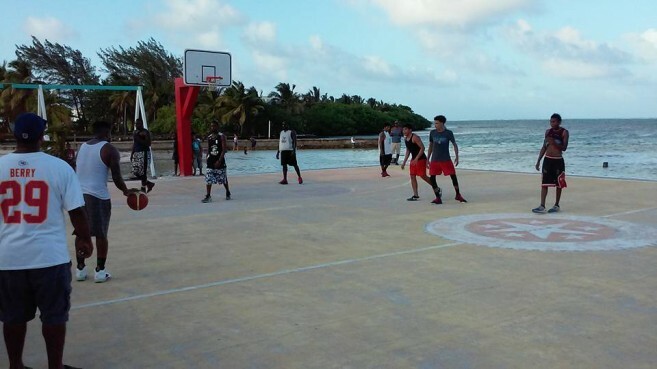 Another fun activity that took place included a two-day basketball tournament at the Boca Del Rio basketball court, sponsored by Deputy Mayor Gary Greif. At the end of the tournament, Team Boca Del Rio overcame the menacing Team Tuff ENuff with a slamming blow out. 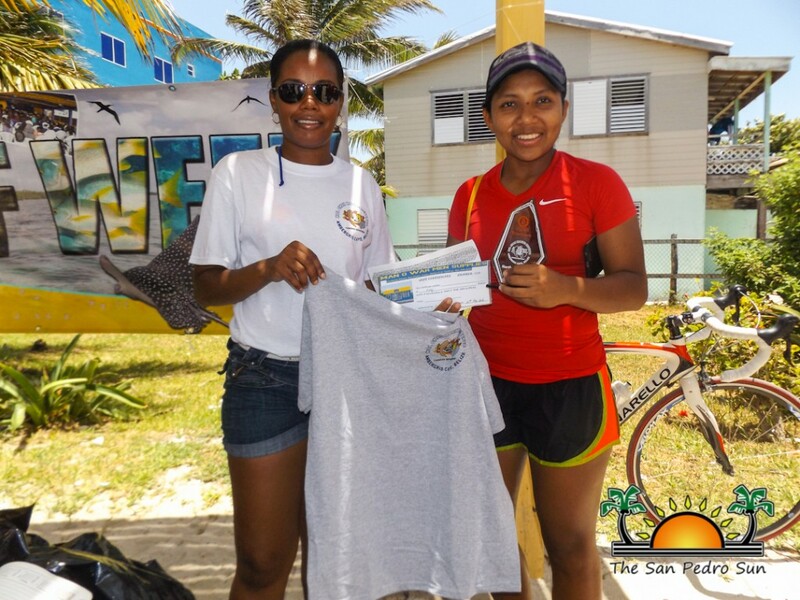 Organizers would like to thank all the athletes that participated in making the Reef Triathlon and Basketball a success. 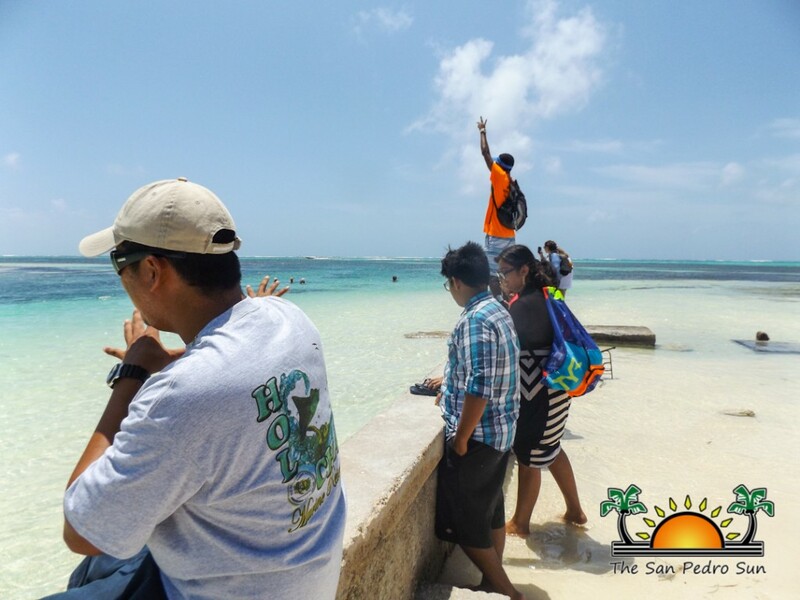 Ambergris Caye Reef Week has started!